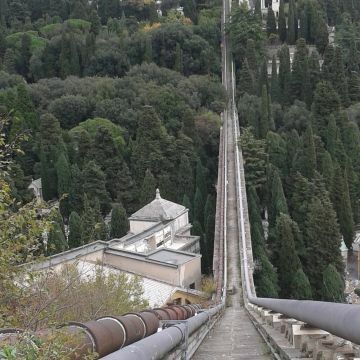 Genoa's historic aqueduct is an impressive structure, built to supply the city with water at the start of the 1200s and subsequently enlarged and improved through the middle of the 1600s; today, it is a highly appealing hiking itinerary for both history and nature lovers. 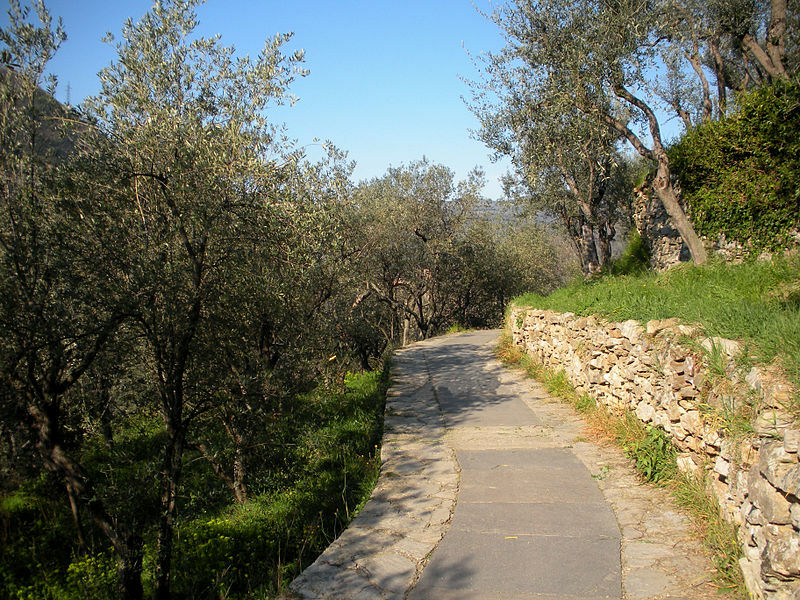 It was built in the Roman era, beginning in the valley bed of the Giro del Fullo area, between Molassana and Prato; some ruins there are still visible today in the stretch above Via delle Ginestre. In the Middle Ages, it was expanded to a higher altitude (about 50 metres), so as to be able to reach the western outskirts of the city, using its increased slope. Extensions inland almost as far as Bargagli were built between the 14th and 18th centuries, and the grand water bridges were created, such as the siphon bridge over the Geirato river, in Molassana, in 1777, which has 14 arches stretching over 640 metres and was a masterpiece of hydraulic engineering in its day. 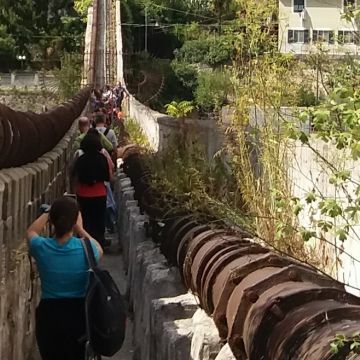 The aqueduct was in operation until the middle of the 19th century but the water continued to reach the neighbourhood of the Old Port as late as 1951. 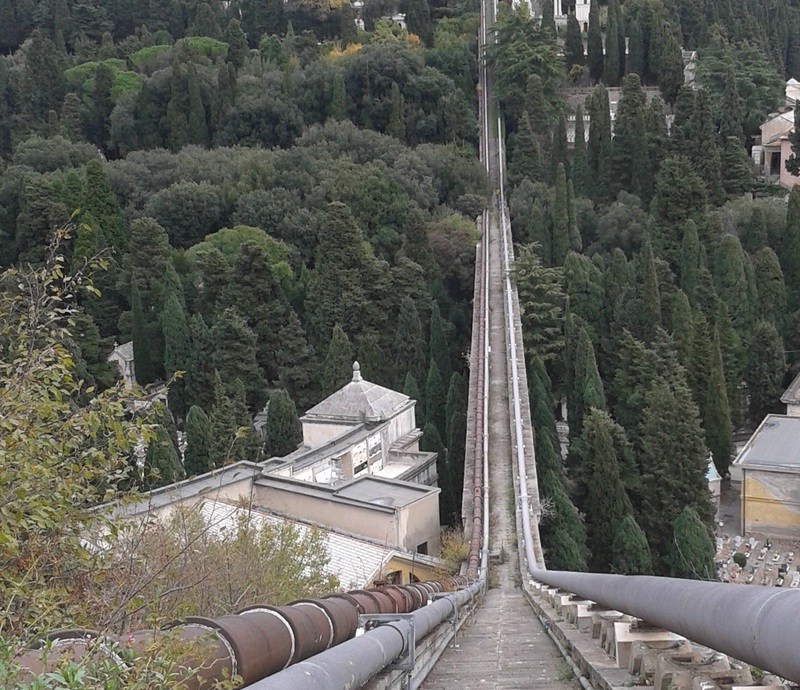 Part of the 40-kilometre length has disappeared with the growth of the city but several long, level stretches remain that can now be travelled on foot or by bike, amid the homes and gardens of the old villages of the Bisagno valley. 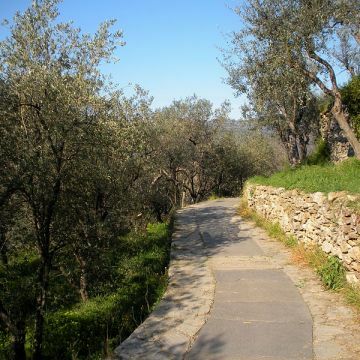 The itinerary can be tackled in its entirety or for only part of the way, as numerous ancient roads ("crouze") and paths link the valley to the old aqueduct. Guided tours whit a professional trekking guide are available here.